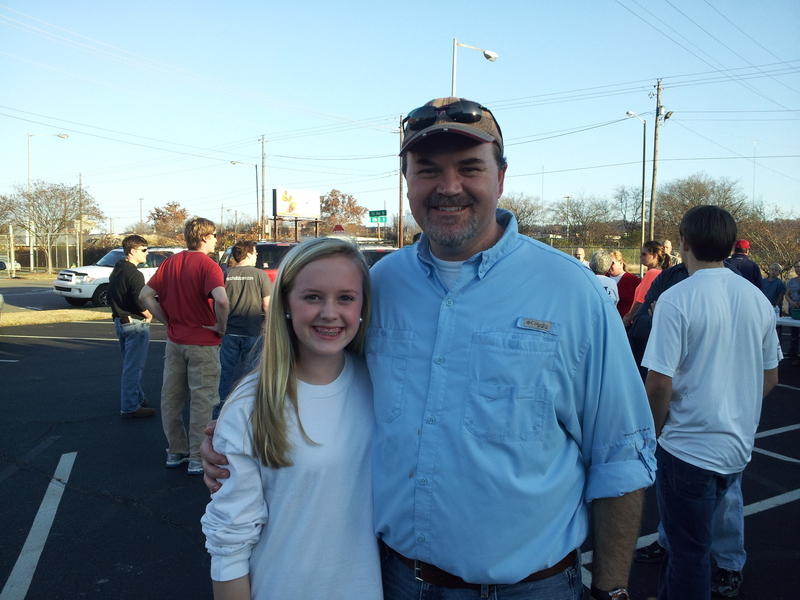 My daughter, Lindsay, and I were familiar with Urban Purpose through our church, Shades Mountain Baptist. Each Sunday, at 2:30 a group of volunteers meet in the parking lot of our church to go and help serve a meal. Urban Purpose made it so easy to get involved. We didn’t have to sign up ahead of time; all we had to do was show up. Lindsay and I have participated two times in the last month or so and while I was a little nervous the first time, the second time I was more comfortable. I just didn’t know what to expect going in. Once again, Urban Purpose makes it easy. All you have to do is just pitch in where you feel comfortable. It may be handing out napkins or picking up trash, or engaging someone in a conversation or just sharing a smile. Also, I love simplicity of this ministry opportunity. Urban Purpose is meeting a basic need, by giving a hot meal to someone who is hungry. Hopefully relationships will form and individuals will be drawn closer to Christ, but Urban Purpose does a great job of meeting a need and sharing the love of Christ through actions, not just words. I encourage you to come see what Urban Purpose is doing and see for yourself how real needs are being met each week.